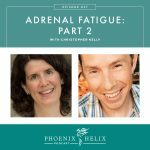 If you have been doing the paleo autoimmune protocol for at least a few months and are NOT seeing results, the first questions I would ask you are whether you are focusing on lifestyle in addition to diet – Are you getting enough sleep? Are you managing your stress? And when it comes to food, are you committed 100% to the protocol without cheats, and are you making nutrient dense food choices as well? 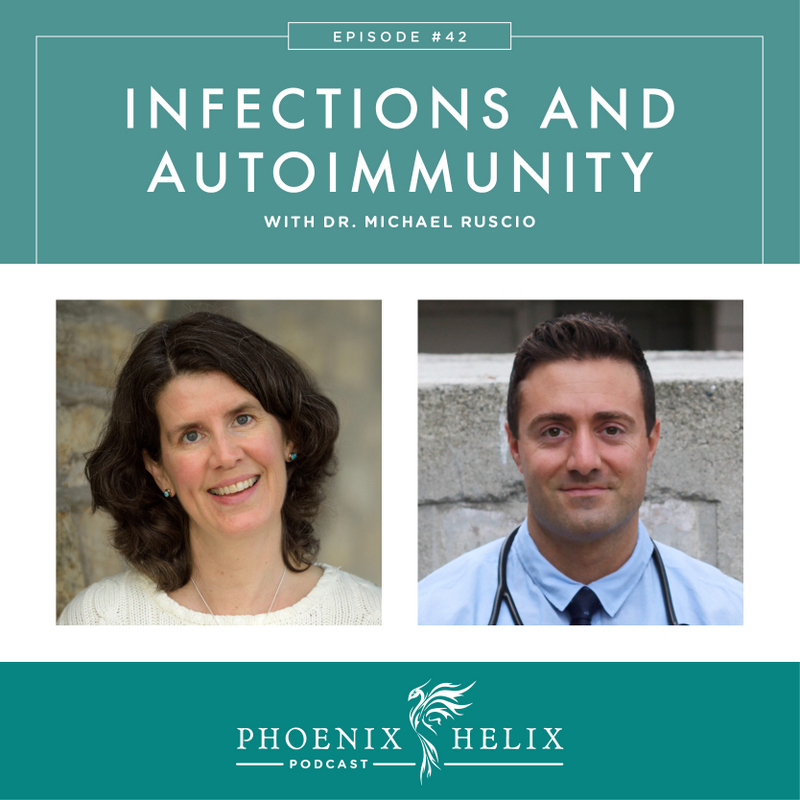 If you answered yes to all of those questions and you are doing the protocol to the best of your ability yet it doesn’t seem to be working for you, then it’s time to troubleshoot further, and infections can be obstacles to autoimmune healing. So, that’s the topic of our show today. We’ll be talking about which infections are common, which are rare, and how they are each tested and treated. Dr. Michael Ruscio is a well-respected practitioner in the paleo community. He is a clinician, educator and researcher, specializing in autoimmune disease and digestive health. In addition, they also sell bone broth! Trained as a chiropractor, he now specializes in functional medicine and works with people around the world via Skype. His specialties are autoimmune disease and digestive health. His own healing story involves overcoming a parasite infection. When he was in college, his diet and exercise were dialed in, but he started having insomnia, fatigue, brain fog and depression. His conventional doctors could find nothing wrong. He then went to see Dr. Dan Kalish, a functional medicine practitioner, who diagnosed and treated him for a parasite infection – amoeba hystolitica. It took two rounds of treatment to clear the infection. His symptoms started improving immediately but it took a full year before they disappeared altogether. Interestingly, he had no digestive symptoms – instead his parasite infection mimicked hypothyroidism and adrenal fatigue. Dr. Ruscio sees this frequently in his professional practice as well. Research shows a strong correlation – where they often exist simultaneously. However, that doesn't mean infections cause autoimmunity. Sometimes the reverse can be true. That said, there have been studies showing that treating infections can reduce autoimmune symptoms. One such example is treating H. pylori infections in people with Hashimoto's. Small Intestine Bacterial Overgrowth was the topic of Episode 29 – listen for a thorough overview. H. pylori is a bacteria that normally resides in our stomach. In some cases it can be neutral, in others protective, and in others harmful. This is true with the microbiome generally – there aren't always villains and heroes when it comes to bacteria. It's all about context. At what age were you colonized with h. pylori? 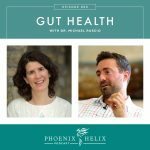 How healthy is your microbiome in general – is it keeping the h. pylori from overgrowing? Are you and h. pylori genetically compatible? Do you have a health issue that is being exacerbated by h. pylori? A skilled practitioner can help you figure this out. If you are ill, there is a higher likelihood that h. pylori is hurting rather than helping you. The goal isn't to eradicate it from your body completely, but rebalance its numbers as part of your whole microbiome. There are 3 tests to diagnose H. pylori – stool, breath and blood. It is treated with either pharmaceutical antibiotics or herbal microbials, along with probiotics and biofilm disrupters (like N-A-C). Biohealth or Doctor's Data stool tests. Comprehensive blood panel including antibodies. He tries to use his patient's insurance whenever possible. 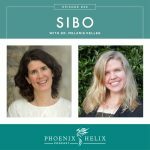 SIBO is the most common infection he sees. Other common infections are candida, h. pylori, and yersinia. Parasites are more rare. The paleo diet and lifestyle is the foundation of his treatment protocol. He prefers herbal antimicrobials as opposed to pharmaceutical, because the herbals are often multi-functional – anti-fungal, anti-bacterial, anti-parasitic, etc. and can hit infections on many levels. And as he said above when speaking of h. pylori treatment, he often combines probiotics and biofilm disrupters to enhance treatment effectiveness. The official definition of a parasite is an organism that detracts from your health and offers no benefit. The three common categories are protozoa, amoeba and worms. Here's a list of common parasites. The more we learn about the microbiome, the less organisms are being classified as true parasites, because sometimes they can offer benefit depending on the context. For example, helminth therapy has been used to treat ulcerative colitis and Crohns disease. However, if you're ill, parasites are likely hurting rather than helping and treatment is indicated. As Dr. Ruscio said in his introduction, parasite treatment was a key to restoring his own health. Patient history and lab tests guide the first choice of treatment, but then you need to pay close attention to how the patient responds. They should start to feel better. If not, something needs to be changed. Just because a lab value is high, doesn't mean it's pathogenic. Some things actually don't need to be treated. Dr. Ruscio believes heavy metals are one such example. (The testing is often unreliable.) He also has SIBO patients who successfully eliminate all symptoms with treatment but their lab results are still slightly high – in those cases, he disregards the lab results. How the body feels is more important than what the labs say. Functional medicine practitioners sometimes over-test and over-treat, which is why it's important to work with a skilled one who can narrow those choices to the appropriate ones. Pursuing perfection is also a danger for us all. If you are feeling 95% better with your autoimmune disease and your doctor agrees, it's time to stop testing/treating and begin enjoying life instead. These aren't gut infections – they are infections in our cells, such as myscoplasma pneumonia, chlamydia pneumonia, chlamydia psittaci, epstein barr virus, cytomegalovirus, herpes, parrvo virus, lyme disease, etc. In Dr. Ruscio's experience, these infections are rarely the cause of his patient's symptoms. While they are sometimes connected to autoimmune disease, it seems to be correlation rather than causation. If someone's symptoms improve after treatment it is often because the antimicrobrials they are prescribed actually cure a gut infection simultaneously, which is the real reason their symptoms improved. That's why he always treats gut infections first. When he tested for these viruses and treated them after the gut had healed, he saw no benefit for the vast majority of his patients. Dr. Ruscio's video on Epstein Barr from 2 years ago, with his addendum added this year after trying this protocol in his practice without success. Healing crisis is an over-used term. True die-off reactions are short-lived, usually just a few days. If the reaction persists longer than a week, it's usually an intolerant/allergic reaction to the supplement or antibiotics, and you should stop taking them. Then wait a week for the flare to settle, and try again with a gentler treatment protocol. Dr. Ruscio will switch from a multi-herbal protocol to a single herb – wait to see if it's tolerated – and only add another if the patient responds positively. Some patients are very reactive, and a simpler treatment is better. Dr. Ruscio has an information-rich website with articles, videos and podcasts. He is accepting patients and works with people around the world via Skype.